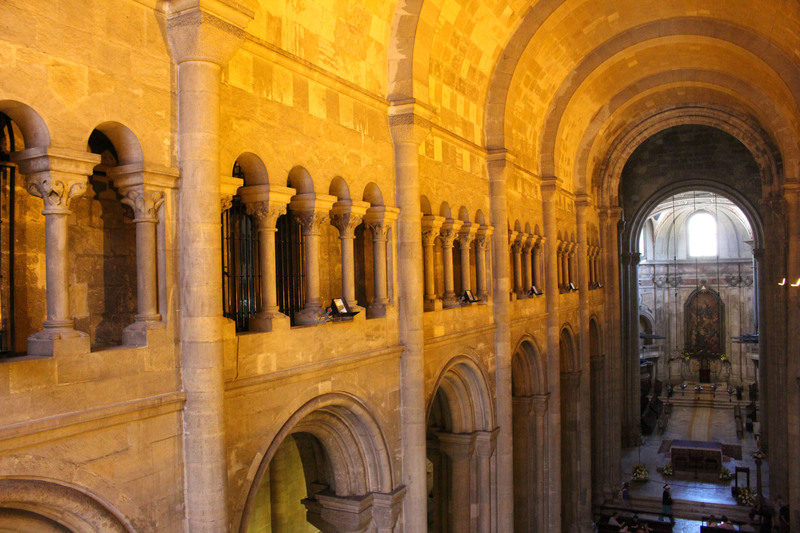 The nave of the cathedral Sé Patriarcal. The cathedral Sé, the abbreviation of Sedes Episcopales, shelters the seat of the bishopric. The cathedral was built in the XIIth century in the location of a former mosque.